I just spent a fabulous 3 days in Dayton, Ohio (yes, it’s possible to have a fabulous time there.) 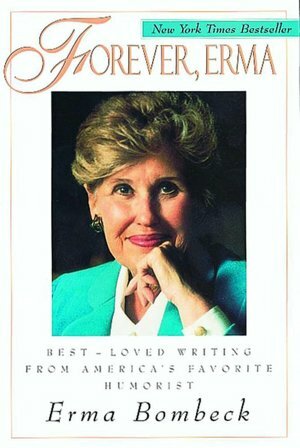 I attended my first ever Erma Bombeck Writer’s Workshop, a bi-annual coming-together of humor writers. Adriana Trigiani-writer for The Cosby Show and A Different World, and author of “Lucia, Lucia” and “Big Stone Gap” which was where Adriana and I both began our lives. Alan Zweibel, one of the original writer’s for “Saturday Night Live.” He also wrote for “It’s Garry Shandling’s Show,” “Curb Your Enthusiasm,” and the movie “North”, among others. Dave Fox-author of Globejotting and Getting Lost, and who I consider responsible for my enthusiasm about writing humor. I’ve taken 2 of Dave’s online humor-writing classes, and he encouraged me to go to the EBWW conference. The presenters were unique, but the message was the same. Keep writing. Do what you love. Persevere. “Overnight success is a myth, so don’t give up!” That is exactly what I needed to hear. Muchas Gracias! My roommate, Angela, was a former classmate in Dave’s online humor classes, and, although we were virtual strangers, we at least had a clue that we would get along. She knew my penchant for wine and dropping the “F” bomb, and still agreed to let me room with her. No, not totally deaf, but I struggle to hear, much less understand, anything quieter than a passing fire truck or dynamite blast. I have no idea what I nodded and smiled about for the first hour in our room, but after showing her my hearing aids and asking her to please yell at me, we hit it off. We’re even talking about taking a trip to Asia next year. Polly arrived 8 ½ months pregnant, but other than that she seemed normal. I’m from rural Appalachia. I’ve never met a real Mormon in person. My exposure lies in the endless TV ads that have ambushed us every 5 minutes, ever since Mitt Romney began his bid for president. You’ve probably seen them: Drug addicts, ex-convicts, Walmart greeters… Each commercial ends in “I am a Mormon. Maybe they should get Polly on that ad, saying she’s a Mom and a writer. It would have laid my fears to rest, for sure. The bottom line is this. Last weekend I was exposed to some of the funniest, funnest, coolest and genuinely warmest people I’ve ever met. Thank you, Erma, for your gift. Hearing aids … what? Are you seriously telling me you can’t hear without help! How have I known you since 2008 and not known this? Now I’m wondering if your smiling and nodding when we had lunch at West Egg was because you couldn’t hear me. You had the most beatific smile on your face too which I assumed was a result of yoga classes or something. Now I find out that you were not necessarily as mega laid back as I thought that day and your serene look may have been due instead to the lunch time background noise drowning out my voice. Seriously, I’m so jealous that you had a chance to go. Did you see Kyran Pittman by any chance or hear her speak? No, E, I was (and still am) in a good place and the smile and nodding were for real. Did not meet Kyran P. Do you know her?